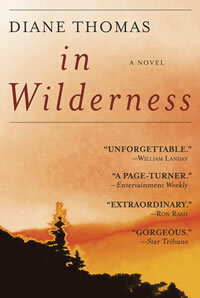 In Wilderness, an Entertainment Weekly " 10 Best" Summer Thriller, named First Runner Up for the National Federation of Press Women's 2016 Adult Fiction Book Award and for New Mexico's coveted 2016 Zia Book Award, and nominated in an early draft for the Pushcart Editor's Prize, tells the story of Katherine, a 38-year-old advertising executive dying of a mysterious wasting illness, who on Valentine's Day 1967 comes alone to an isolated cabin in a mountain forest, bringing little more than a tin plate, a sleeping bag and a gun, to live out her few remaining days; and of 20-year-old Danny, a former Vietnam sniper afflicted with what today would be recognized as PTSD, who has come into the wilderness so he will not kill again. Inspired by classic Appalachian folk ballads of obsessive desire and violence, In Wilderness explores the twin human urges to create and to destroy through the story of these two suffering individuals, one damaged by war and the other by environmental disregard, who are brought together by an overarching need for love. A suspenseful literary love story, IN WILDERNESS spins its seductive spell around our fierce need for companionship and our enduring will to survive. In the winter of 1966, Katherine Reid, debilitated by a terminal and excruciatingly painful illness, moves to an isolated cabin deep in Georgia's Appalachian Mountains. There, with little more than a sleeping bag, a tin plate, and a loaded gun, she plans to spend the few short months remaining to her in beautiful but desolate solitude. 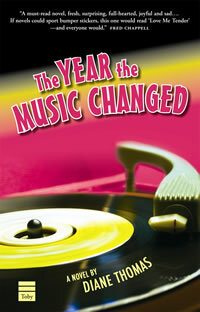 A coming-of-age tale set in 1955 and told as a year-long correspondence between a young country singer on the way to enormous stardom and a facially disfigured 14-year-olf girl, The Year the Music Changed: The Letters of Achsa McEachern-Isaacs and Elvis Presley received a starred review from Library Journal, rave reviews from Kirkus and Publisher's Weekly, was a Booksense Notable Book for September 2005, and has been translated into Italian (Azimut) and Japanese (Poplar). The reviewer for The AtlantaJournal-Constitution compared it with Harper Lee's classic To Kill a Mockingbird. A recent transplant to Boulder, Colorado, via Santa Fe, New Mexico, and the mountains of north Georgia, Diane holds a BA from Georgia State University in Atlanta and an MFA from Columbia University in New York. She's worked as film and theater critic at The Atlanta Constitution morning newspaper (now part of the AJC), as a staff writer at the ground-breaking city magazine Atlanta, and as a freelance writer and editor. 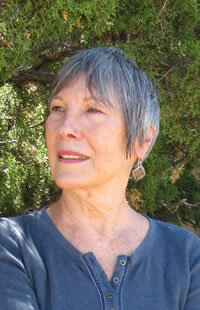 Her second novel, In Wilderness (Bantam, 2015), launched at the 2015 Savannah Book Festival and has been honored as an Entertainment Weekly "10 Best" summer thriller, First Place winner of the New Mexico Federation of Press Women's 2016 award for Adult Fiction, First Runner Up for Adult Fiction in the National Federation of Press Women's 2016 Communications Contest, First Runner Up for New Mexico's 2016 Zia Book Award for Adult Fiction, the 2016 New Mexico-Arizona Book Awards' Best Mystery, an Amazon "Best Book," and a Random House Australia "Book of the Month," and has been translated into Czech and Hebrew. In Wilderness is set in the mountains of north Georgia, as is her novel-in-progress. 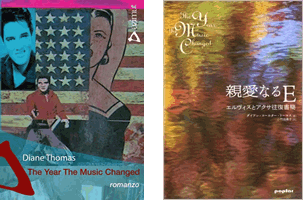 Her debut novel, The Year the Music Changed: The Letters of Achsa McEachern-Isaacs and Elvis Presley (The Toby Press, 2005; paperback, 2010) has been translated into Italian and Japanese.